Colors straight out of camera vary greatly between brands and sensors. Canon has been known for a long time for its great skin tone reproduction, while other manufacturers have created more troubles for colorists and retouchers to get perfect tones without a solid post-production workflow. 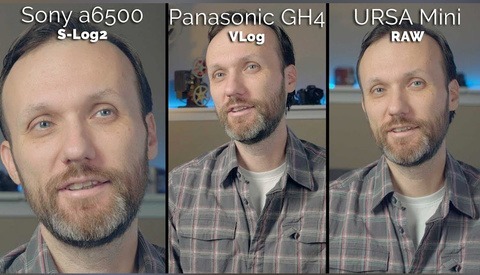 In this tutorial, Chrystopher Rhodes from YCImaging shows how he uses 3D LUT Creator to get perfect colors out of his Panasonic GH5 and goes further by quickly demonstrating how you can color match your footage to any picture or video you like. Color grading videos is important if you want to set the mood, fix color issues, or simply match either your creative vision or how your eyes saw a scene. 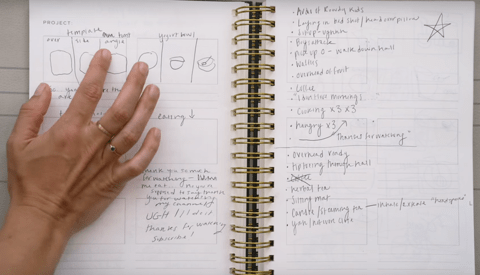 However, there are so many different ways to grade footage, so many tools you could use, that it makes it difficult for a beginner to know where to start. In the video above, Rhodes shows how he uses the very powerful and complex 3D LUT Creator app to bring the best out of his GH5 footage. 3D LUT Creator is a truly complete app for anything color related, but it’s very intimidating at first. This video will help you get started with a couple of easy tips and tricks. The basics are not so complicated, and it’s actually easy to get a decent result with. If you then want to go further and let your creativity speak, you’ll see that you can push it quite far. 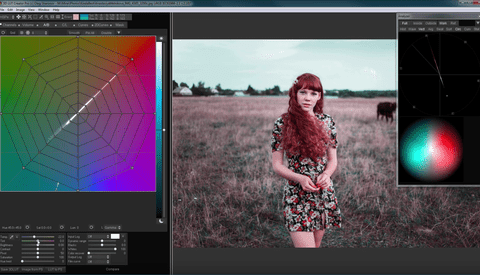 Do you use 3D LUT Creator in your video or photo editing workflow? Do you think it's worth it? Would you like to learn more about it and how it could benefit your photography as well as a complement to Capture One/Lightroom and Photoshop? Be sure to let me know in the comments below. I use this program for everything I do, and have for several versions. It's definitely my tool of choice. That said, you can grade in any software really, knowing what you want to do is the key. But I prefer the toolset that this program offers. Quentin, after you published your previous article on 3D LUT, I did try it. The cost of taking one step further was something like US$100 for the basic version, twice that for the one in the middle, and US$250 for the pro version. Considering the limited range of functions and the price of alternatives, that's a bit of an ask - although of course it's a great system, if you need something like this. The cost of upgrades is very fair - it seems to be no more than the cost differential between buying the different versions in the first place - while so many other post processing systems charge a premium on top of that, for any upgrades, 3D LUT apparently doesn't. And did I see some kind of reference to updates being free? - can't really remember now, it was 6 months ago. Anyway, the system is so good I can't envisage or imagine anything that would make it much better. At the time, I was involved in trying to test a range of different post processing systems in conjunction with a couple of groups I belong to, and spending way too much on different programs to carry out those tests. So an additional crunch to see what you could really do with 3D LUT came at an unfortunate time and I lost interest, I'm afraid. Maybe I should give it another try. That said, it is clearly different for pros and amateurs. Even serious amateurs aren't exposed to quite the same demands as pros, whose customers often seem to suffer from some delusional belief that they can have perfection in this lifetime, and get it every time, whenever they demand it. Any amateur has it within their power to call a halt to post processing at any time - by declaring "well that's good enough", and moving onto the next photo. And if I DO have to "buy to try", I don't think the limited range of functions in the basic "Grading Edition" would hold much appeal, so it's still quite a leap in the dark to spend US$199 (over AUD$270) on the "Standard" one without being able to really see how it benefits my work, first. The "trial" version is fairly limited and you can't save your work, to see what you've actually done, so I gave up. I see there was a special over Christmas, cutting those prices quite a lot, but I imagine that's over anyway, now that January's upon us. So I remain "interested" - but at this stage, without something more, "uncommitted". Happy to know of this software -the video is overwhelmingly underwhelming though.